Soothing and elegant – our univerally popular ‘Calm’ profile. 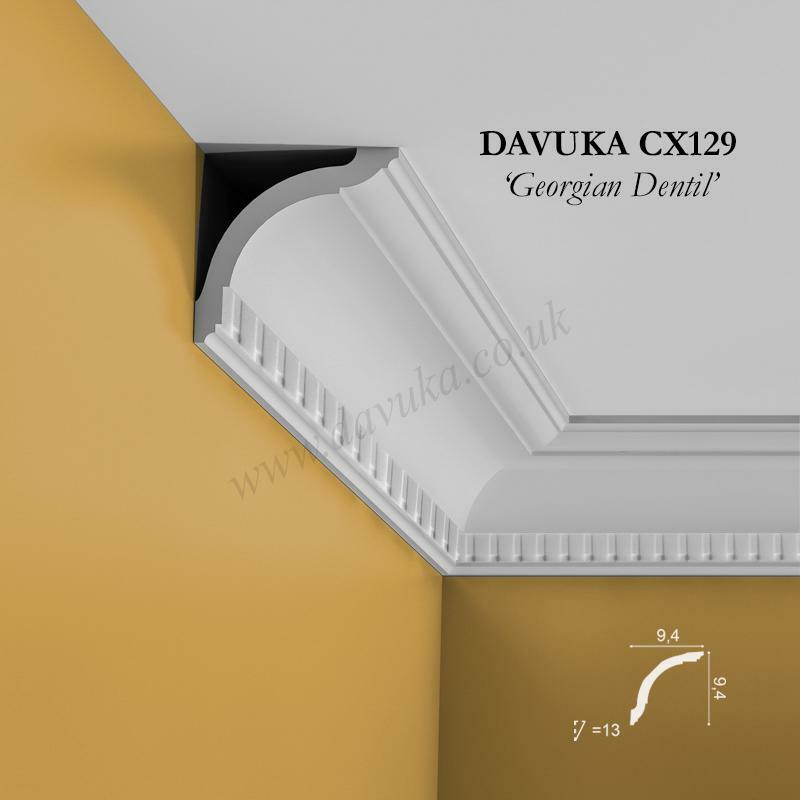 Not too big, not too small, and ideal for the smaller understated house. Available in either 2m or 2.6m sections and optionally in a flexible format for fitting to curved walls/bay windows etc (flexible only in 2m lengths with minimum bend radius of 2.0m). 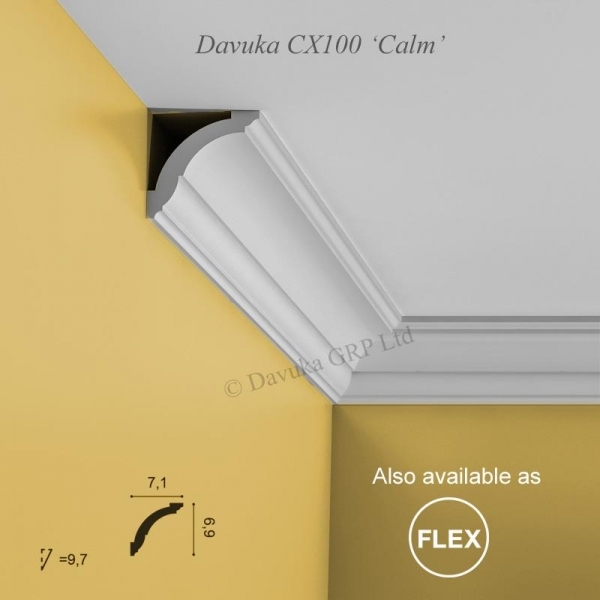 Pre-cut internal and external mitred corners are also available enabling faster and easier installation without mistakes. These are from a 2m section with the respective mitre cut in the middle (i.e. there is one metre along each wall, either side of corner joint). See following product. 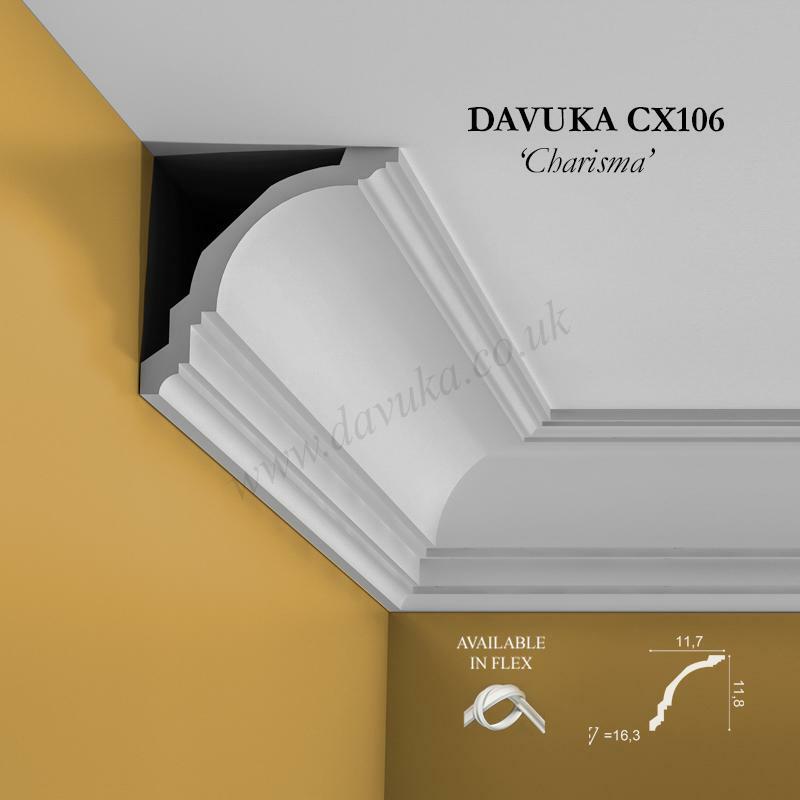 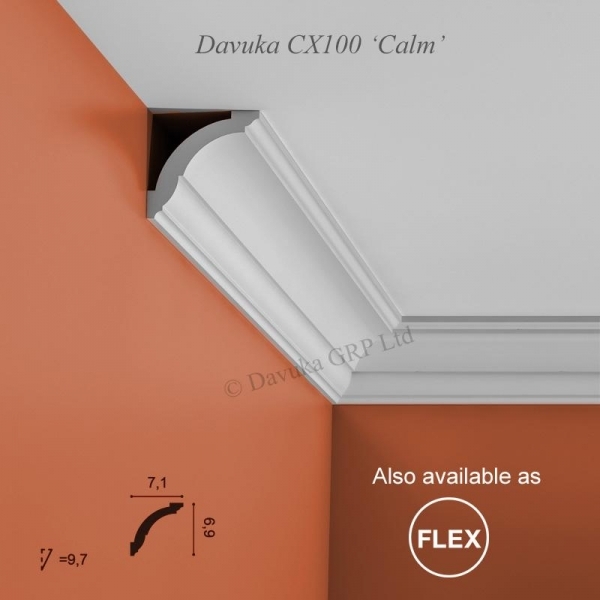 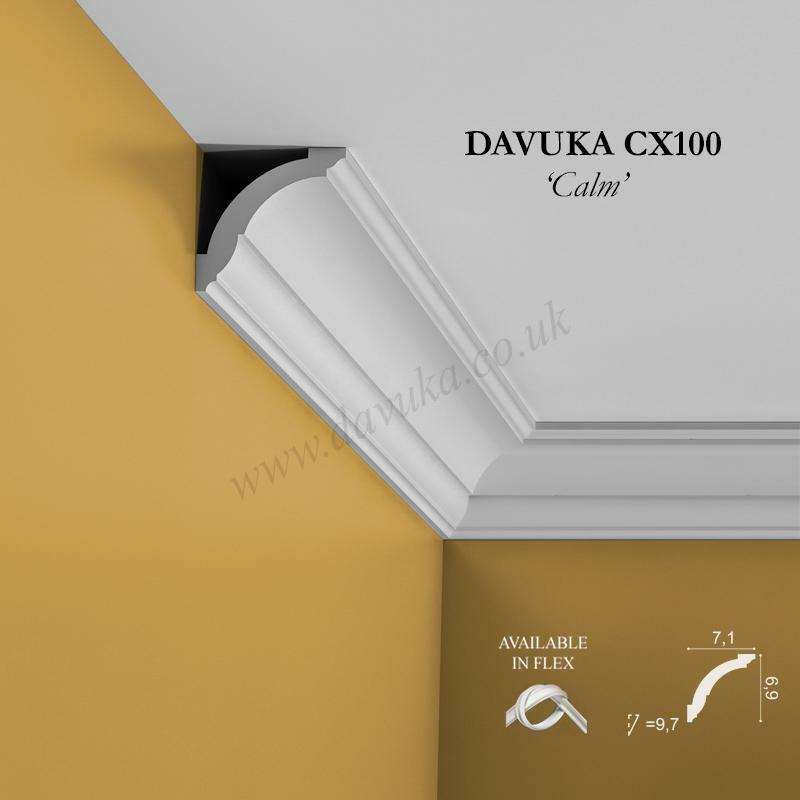 Using the Correct Jointing and Mounting Adhesives for the CX100 ‘Calm’ coving- IMPORTANT!